Insulation may need to be removed for a variety of reasons. 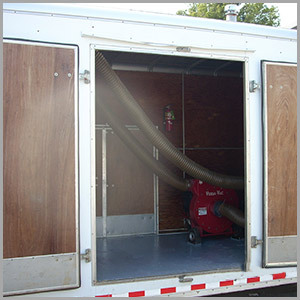 Since Insulation is paramount to the proper heating and cooling of your home, it is important that it remain free of debris, moisture, pests, or other factors that could be decreasing the productivity of your insulation. 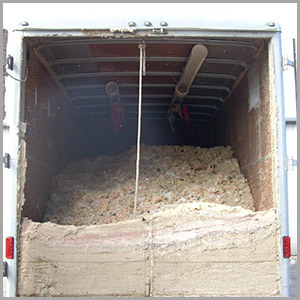 Some signs of insulation degradation can include high utility bills, inconsistent room temperature, crumbling or mildewed insulation, pests, and water damage. In older homes, it may be a good idea to replace old insulation, as newer insulation is almost always of higher quality and more eco-friendly. Tempco can directly remove fiberglass, cellulose, and rock wool from your attic with ease. No need for a dumpster or extra trips to empty the shop vac with this "state of the art" insulation removal machine. 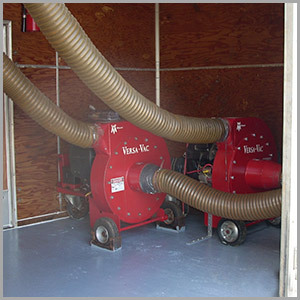 The two large vacuum systems are designed to thoroughly remove all fibrous debris left in the space. 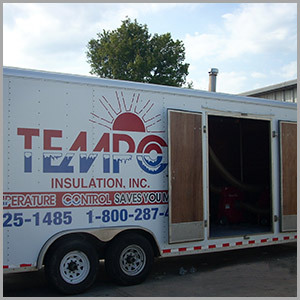 Designed by Tempco's own mechanic, it allows us to remove insulation that is wet, damaged, and even varmint or pest infested. Give us a call and one of our estimators will be happy to assist you in your removal needs. Remember, for temperature control, it’s got to be Tempco!